Capture a different side of Detroit with your own Personal Detroit guide, 5-hour, personal photography/sightseeing tour. This ‘urban exploration’ adventure visits the city’s abandoned schools, factories, warehouses, municipal buildings and theaters in search of the perfect picture. Get tips on composition, exposure and more from a freelance fine-art photographer whose specialties include urban landscapes and abandonment. Transportation from one location to the next is included. 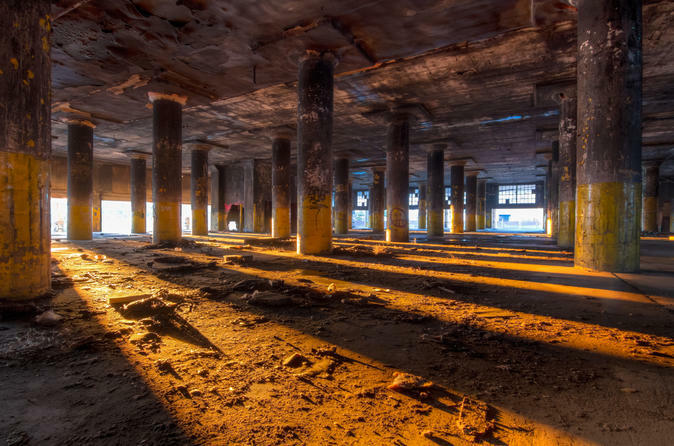 This 5-hour tour is an opportunity to explore the other side of Detroit - urban exploration style! Check out abandoned schools, factories, warehouses, municipal buildings and theaters with your professional tour guide. Take photos of these buildings or just explore! Your professional personal tour guide will lead you between locations providing insights on the buildings and answering any questions. If your are into photography, your guide will also offer guidance on composition and exposure to help you get the perfect shot! Children must be accompanied by an adult. A liability waiver will be required for signature to take part in this tour. Minimum age is 18 years to sign waiver for yourself. You will meet in the historic Villages of Detroit.